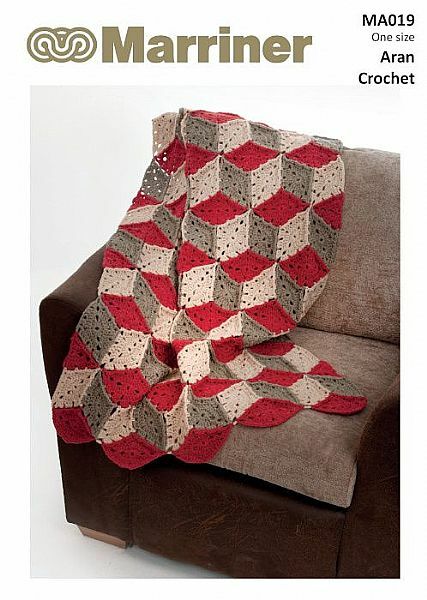 This crochet throw is made of square motifs that create an interesting 3d cube effect. This throw is surely a must-have winter staple. 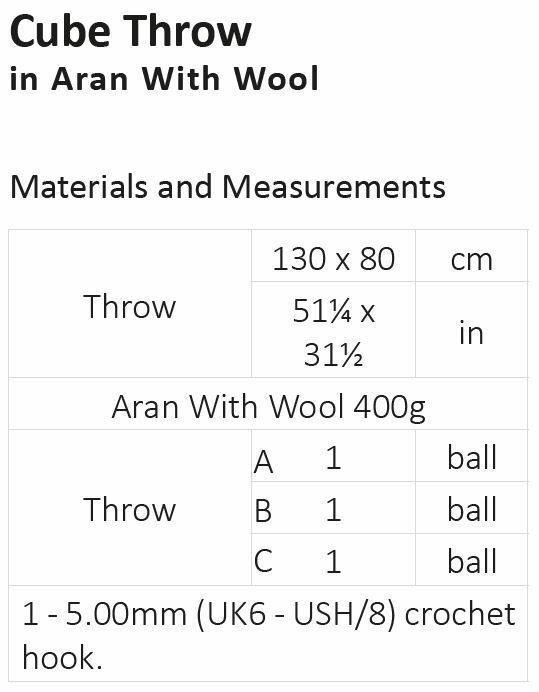 The throw crochets to an approximate size of 130 x 80 cm (51¼ x 31½ in). Hooks required 1 - 5.00mm (UK6 - USH/8) crochet hook.